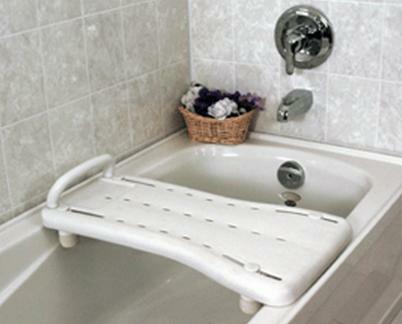 A white ABS plastic bathboard with a plastic handle on one end (wall side) and a wide sitting area on the other end to facilitate transfers. 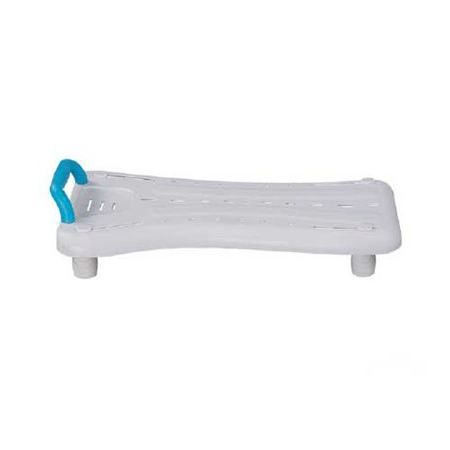 The surface has water drainage holes and is slip resistant. One size only.